By the time he won the Grand National, as a twelve-year-old, in 1989, Little Polveir was already a veteran of three previous attempts in the race, although he had completed the course just once. 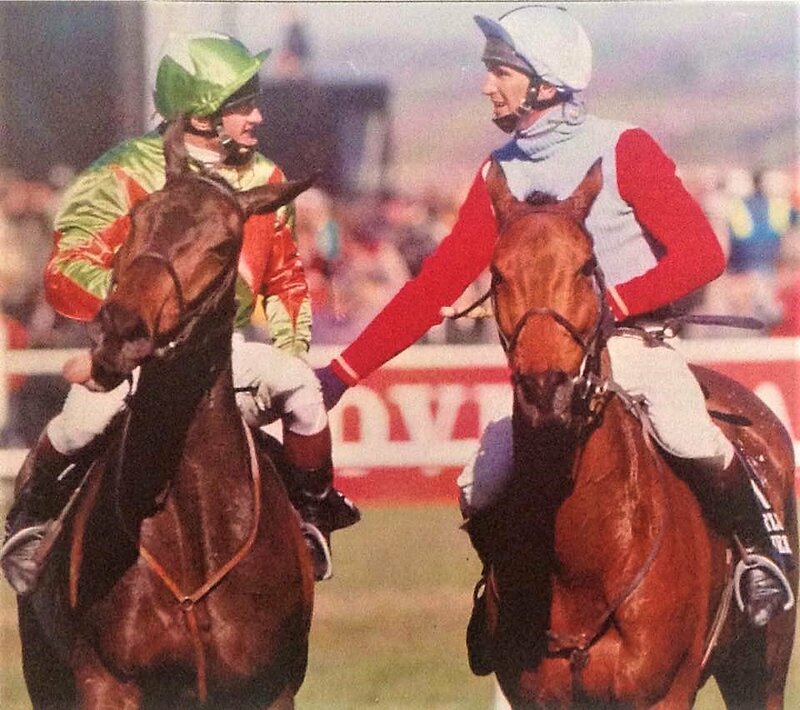 In fact, in his three previous attempts he had finished a distant ninth, at 66/1, behind West Tip in 1986, unseated rider, at 33/1, at The Chair on the first circuit in 1987, unseated rider again, at 33/1, at the twenty-sixth fence, when in the lead, in 1988. Little Polveir was bought by trainer Toby Balding, on behalf of new owner, Edward Harvey, for 15,000 guineas just six weeks before the 1989 Grand National, with a view to winning the Grand Military Gold Cup at Sandown Park. He didn’t but, in the words of his trainer, “ran a great race” in defeat, finishing fourth, and took his chance in the National almost as an afterthought. On his fourth attempt in the Grand National, Little Polveir was ridden by new, professional jockey Jimmy Frost and carried 10st 3lb, including 3lb overweight. The gelding chased the leaders early on before hitting the front at the water jump, which brings the first circuit of the National Course to an end. Jumping the twenty-first fence, he had established a clear lead, which he maintained until challenged by Durham Edition between the last two fences. The pair jumped the final fence almost upsides, but Little Polveir was quicker away from the fence and set off up the run-in with a lead of about a length. Coming to the “Elbow”, West Tip and The Thinker moved into second and third as Durham Edition floundered in the heavy going, but Little Polveir drew away in the closing stages, with just a loose horse for company, to land the spoils. At the line, he was 7 lengths ahead of West Tip, with The Thinker a further half a length away in third place.